True lavender oil is steam distilled from the freshly cut flowering tops and stalks of Lavandula angustifolia. The classical cultivation area is in the Haute Provence region in France at an altitude of 600-1500 m, where this species grows naturally. The distillation takes place at small local distilleries, collectively producing around 100 t yearly. Today, however, L. angustifolia is grown for oil production in several countries. 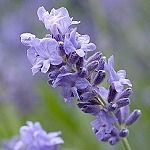 (-)-(R)-linalool (35 %) and its acetate (40 %) are the most important constituents of lavender oil. (-)-(R)-lavandulol and its acetate are characteristic, as well as 1-octen-3-yl acetate. More than 300 components have been identified, among them a number of sesquiterpenoids and a multitude of odour-determining trace constituents. Coumarin makes itself conspicuous in particular from the withered flowers . True lavender oil is unrivalled as a popular, fresh-sweet, herbal-floral fragrance ingredient in perfumery. The spicy, vegetable-like nuances found in chypre type perfumes are created by small amounts of lavender oil. In fougère types the proportion is higher. 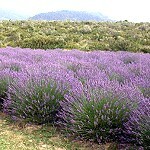 The dry note associated with lavender oil especially lends itself to the creation of perfumes for men. Examples are Azzaro pour hommes (Azzaro 1978), Paco Rabanne pour homme (Paco Rabanne 1973) and Hugo Boss (Hugo Boss 1975) . Lavender oils of cruder olfactory quality are produced from Spanish lavender or Spik, L. latifolia, and from Lavandin, L. angustifolia x latifolia. These oils are produced in greater amounts and are used for perfuming soaps and detergents . The small lemon tree originates in the Himalayas but already in the Antiquity it was introduced to the Mediterranean area. The branches are thorny and the leaves are light green. Lemons are cultivated primarily for their juice. Italy is one of the major exporters. 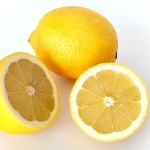 Lemon juice is rich in citric acid and vitamin C (ascorbic acid) and is used in cooking for its freshness and sourness. However, the characteristic lemon flavour is due to the essential oil of the peel and is dominated by the aldehyde citral (geranial + neral, ~ 5 %) combined with smaller amounts of linear aliphatic aldehydes (C7-C13). As with most citrus oils, (+)-limonene is by far the major component (~ 65 %) . P.S. Citric acid is now being produced industrially from the mould Aspergillus niger. 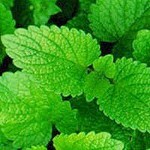 Lemon balm has been grown in the Mediterranean countries since old ages, but even in temperate gardens it is a vigorous perennial. 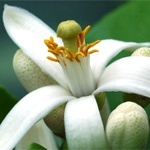 It has a lemony odour upon touching and it is used as a medicinal plant and as a seasoning herb. 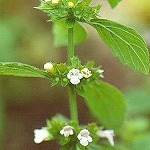 Compared with the odour of lemon, the odour of lemon balm is lighter and more 'fatty'. 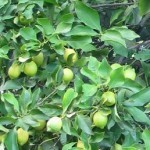 In addition to citral, citronellal (or dihydrocitral) is a major ingredient . Etymology: Gr. melissa or melitta, honeybee, the plant has been used as a food source for honeybees. 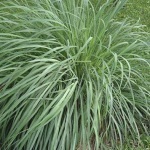 Lemongrass, belonging to the genus Cymbopogon of aromatic grasses, has an essential oil with a fine lemon scent. It is a native of Southeast Asia but is now found growing naturally in many tropical grasslands and is also extensively cultivated. It grows in dense clumps reaching a height of more than 1 m and has bright bluish-green leaves approximately 2 cm wide. 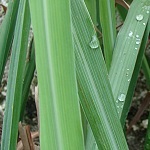 Lemongrass oil obtained by steam distillation of the leaves was formerly a main source of natural citral but has declined in commercial importance. 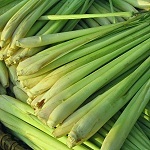 However, the rising popularity of Thai cooking has made lemongrass known worldwide as an ingredient in soups (e.g. Tom Yum) and other dishes. The light coloured base sections of the grass are used. Kasali et al. determined the composition of Nigerian grown lemongrass essential oil by GC-MS. Twenty-three constituents were identified (97 %). The main constituents were geranial (34 %), neral (26 %) and myrcene (25 %). Small amounts of neomenthol (3 %), linalyl acetate (2 %) and (Z)-beta-ocimene (1 %) were also detected . A number of Cymbopogon species have been used as sources of valuable monoterpenoids. a) C. flexuosus yields a similar oil (citral 75 %), b) C. nardus and C. winterianus yields the so-called Citronella-oil (citronellal 45 %, geraniol 15 %, citronellol 8 %), and c) C. martinii var. motia yields the so-called Palmarosa-oil (geraniol 95 %). However, the development of newer synthetic methods in terpene chemistry has made these oils less important .